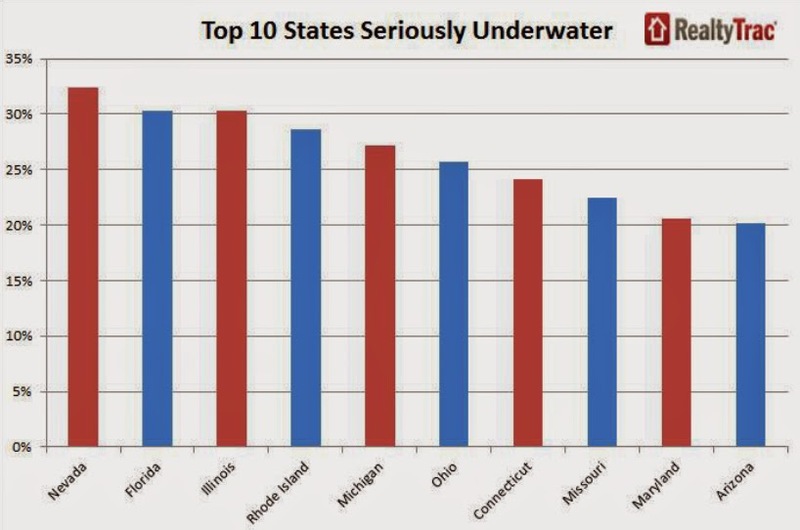 RealtyTrac reported this week there are still 9.1 million U.S. residential homes considered "seriously" underwater (the mortgage exceeds the property's value by at least 25%). The seriously underwater group accounts for 17.2% of all mortgages. The residential market has slowed considerably during the first half of 2014 and as we have discussed here numerous times; when interest rates resume their ascent higher home prices will resume their decline lower. Tuna, looking beyond the U.S., would your theory of interest rates rises resulting in home price decreases work for property prices in countries around the world? Yes, in fact with some countries it is even more extreme. Hong Kong, for example, uses almost exclusively adjustable rate mortgages.